'Flaming June VII',” Los Angeles Times, June 27. 2015 Martinez, Alanna. 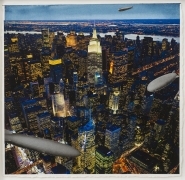 “Frieze Favorite: Artist TJ Wilcox’s Bird’s-Eye View of New York at Gladstone Gallery,” Observer, May 17. Zhong, Fan. “Best of Frieze New York 2015,” W Magazine, May 15. Loos, Ted. “Frieze New York Expands on Its Successful Model,” The New York Times, May 14. Guiducci, Mark. “New York City is Frieze-ing! What’s Happening at This Year’s Fair,” Vogue, May 14. 2014 Halperin, Julia. 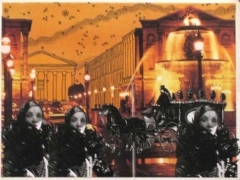 "Contemporary Artists Flock to the Opera," The Art Newspaper, October 27. "A Short at the Opera," The New York Times, October 3. Morris, Susan. "On View: T. J. Wilcox's 'Up in the Air,' At the Whitney Through February 9," Blog.Archpaper.com, January 10. 2013 Smith, Roberta. “Starring New York City,” The New York Times (September 20): C25, 28. Peyton, Elizabeth. “T.J. Wilcox,” Interview (September): 158-163, 339-340. Bell, Kirsty. “Sunrise to Sunset,” Frieze (September): 114-119. Wilcox, T.J. “Careful Looking,” Art in America (September): 60-61. Chaillou, Timothée. Only parts of us will ever touch parts of others. Galerie Thaddaeus Ropac, Paris/Salzburg: 148. Vogel, Carol. “A Historic Immersion Before Whitney Moves.” The New York Times (May 17): C22. 2010 Kley, Elisabeth. “Gotham Art & Theater,” Artnet.com (May 24). MacSweeney, Eve. “Nostalgia: The Heir and Astaire,” Vogue (June): 76-78. Walleston, Aimee. “Women on the Verge of Technology,” www.artinamerica.com (May 4). Collier, Anne. “T. J. Wilcox,” Bomb (Spring): 78-85. Texte zur Kunst (December): 126-131. The Judith Rothschild Foundation Contemporary Drawings Collection: Catalogue Raisonné, The Museum of Modern Art, New York: 282. Matrix/Berkeley: A Changing Exhibition of Contemporary Art, University of California, Berkeley Art Museum and Pacific Film Archive, Berkeley: 421. Savorelli, Alice. “Americans in Milan,” Artnet.com (March 18). 2008 Schreiber, Daniel. “The Collector of Sad and Beautiful Stories: An Encounter with T.J. Wilcox in New York,” DBArtmag.com (September). 2007 Wilcox, T. J. 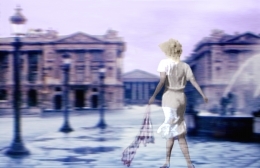 “Best of 2007: Film,” Artforum (December): 71. Frankel, David. “T. 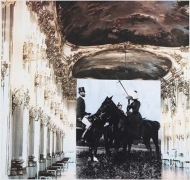 J. Wilcox: Metro Pictures,” Artforum (November): 364. Wehr, Anne. “T. J. Wilcox,” Time Out New York, (October 10): 79. Rosenberg, Karen. 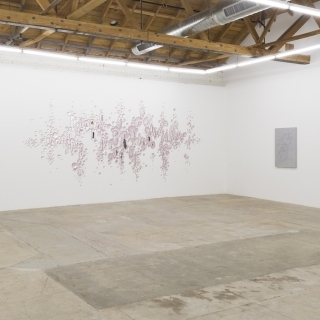 “Art in Review: T. J. Wilcox,” The New York Times (September 28): E3. 2006 Grässlin, Karola & Schröder Alexander. “Optik Schröder: Werke aus der Sammlung Alexander Schröder,” Verlag der Buchhandlung Walther König, Cologne: plate no. 199. Richer, Francesca and Matthew Rosenzweig. “No. 1,” D.A.P., New York: 406. 2005 Quandt, James. “FILM BEST OF 2005,” Artforum International (December): 57. Bell, Kirsty. “T.J. Wilcox,” Afterall, London & Los Angeles (October): 37-52. Funcke, Bettina. “T.J. Wilcox: From Dusk till Dawn,” Afterall, London & Los Angeles (October). Fels, Sophie. “Garlands,” Time Out New York (February 10 – 16): 72. Kerr, Merrily. 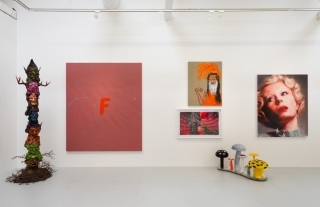 “TJ Wilcox – Metro Pictures,” Flash Art Milan (March/April): 117. Smith, Roberta. “Art in Review, TJ Wilcox: Garlands,” New York Times (February 11). The Blake Byrne Collection, MOCA, Los Angeles: 77. Amy, Michael. “T.J. 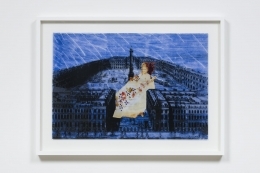 Wilcox at Metro Pictures,” Art in America, New York (October): 180-181. 2004 Gaines, Malik. 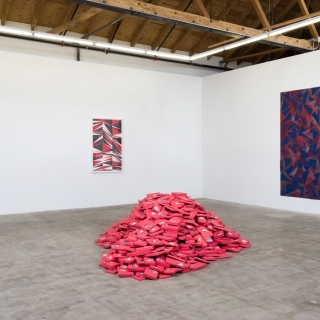 “TJ Wilcox at China Art Objects Galleries,” artUS (January-February). Jana, Reena. “The Recovery of Memory,” Tema Celeste, Milan (September/October): 54-59. Siegel, Katy. “All Together Now, Crowd Scenes in Contemporary Art,” Artforum (January): 166-171. 2003 Herbert, Martin. 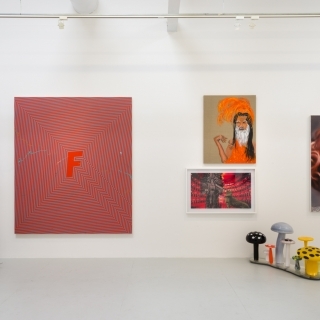 “TJ Wilcox at Sadie Coles HQ,” Time Out London (June 18-25). Williams, Eliza. “Reviews: TJ Wilcox at Sadie Coles HQ,” Tema Celeste, (Issue 99): 92. 2002 Cotter, Holland. “Cinema à la Warhol, With Cowboys, Stillness and Glamour, The New York Times April 5: E31. Smorgasbord, Zuckerman, Berkeley Art Museum, University of California. Grosenick, Uta & Riemschneider, Burkhard. 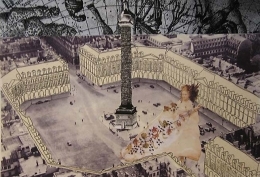 Art Now, Taschen, Cologne: 536-9. Rapture, Barbican Gallery, London: 86-9. 2001 Archer, Michael. “T.J. Wilcox- Sadie Coles HQ,” Artforum (April): 149-50. Ruas, Charles. “T.J. 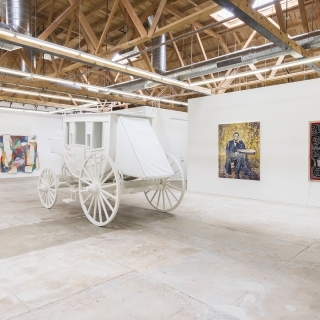 Wilcox at Gavin Brown’s Enterprise,” Art in America (June): 126-7. Gavlak, Sarah. “A Queer Sensibility,” Pride: 56. Fox, Dan. 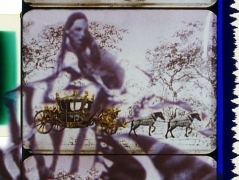 “Straight to Video,” Frieze (October): 68-71. The Americans-New Art, Barbican Art Gallery London: 84-91. Kent, Sarah. “Altered States,” Time Out London, London (December 28): 60. Sharp, Amanda. “The Americans,” Arena Homme + London (Autumn). W, Musée des Beaux Arts de Dole, Dole, France: 28. 2000 Cotter, Holland. “T.J. Wilcox,” The New York Times (November 10): E37. 1999 McFarland, Dale. 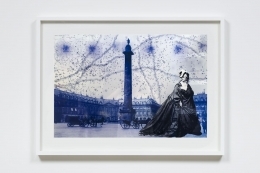 "T. J. Wilcox¬– ICA, London," Frieze (January- February): 81. Herbert, Martin. "Review,” Flash Art (October): 117. Rickels, Lawrence. "The Loss Generation,” Art/Text (No. 64): 32-5. Kent, Sarah. "Review,” Time Out/London (June). Dutt, Robin. “T.J. Wilcox: The Funeral of Marlene Dietrich,” What’s On (June 16): 24. 1998 TJ Wilcox, Institute of Contemporary Arts, London. Kent, Sarah. "Review,” Time Out/London (October 21-28): 43. Brooks, Amra. "A Conversation with T.J. Wilcox,” Zingmagazine (Summer): 88-95. Arning, Bill. "Review,” Art in America (April): 116. Dialogues: Sam Easterson, T.J. Wilcox, Walker Art Center, Minneapolis. 1997 Updike, Robin. "Area artist's images score a N.Y. coup,” Seattle Times (May 25). 1996 Persona, Kunsthalle Basel, Switzerland.